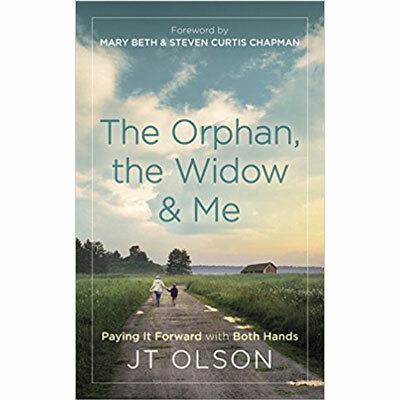 After being orphaned as a child alongside his four siblings, JT Olson went on to start a faith-based non-profit serving orphans and widows. Olson's childhood tragedy gave him an overwhelming understanding of the need to find loving homes for the world's orphaned and vulnerable children. Both Hands follows his powerful journey towards spiritual restoration by recounting significant moments in his life, including his family's life-altering decision to adopt a little girl from China. Read his compelling transformation of pain into passion, the joy found through adoption and the value of every life. JT Olson is an avid proponent and speaker on adoption, the pro-life movement and orphan care. His non-profit, Both Hands, helps families raise funds for their adoptions through serving widows in their communities and has raised over $7 million dollars for adoptions and orphan causes. They've completed over 650 service projects across the country, serving over 700 widows with home improvements and bringing over 800 orphans into forever families. His powerful story will leave you inspired to be an agent for impact.